Residential rennovation and remodeling services. I am an award-winning General Contractor remodeling with 31 years experience. I am a good listener, asking open-ended questions in order to establish workable solutions for the problems in your home. I offer empathy, honesty, courtesy and respect. I pride myself on being able to help clients stay within their budgets by value engineering their projects - prioritizing their product and service choices. APEX@HOME is committed to excellence and is fully licensed and insured. We are a full-service design/build company based in Highlands Ranch, Colorado. The company serves homeowners in the Denver Metro surrounding areas from Castle Rock to Brighton. Since 1979, Landmark Traditions has been an award winning leader in the design, construction and remodeling of quality homes. Our goal is building the most sought after and recognizable luxury homes in Colorado. We apply personal attention into every aspect of the project and build long term value into each of our homes. With extreme attention to detail, we create the perfect home for Colorado’s sunny days and mountain views. 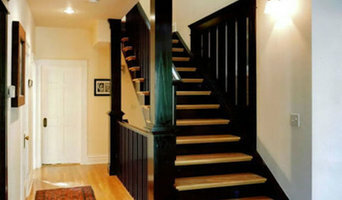 We are a small, full service construction company with a focus on renovation and remodeling. Serving our customers all over Colorado since 1996. Based in the Front range foot hills outside of Denver, we have completed projects from the Western slope to the plains East of Denver and every where in between. Experience true client focused attention, quality craftsmanship and professional integrity. Bella Casa Construction and Stone is dedicated to the successful completion of your new construction or remodeling project. 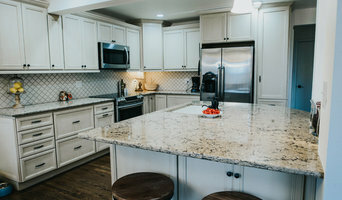 We are a full service general contractor that can fabricate and install your new countertops, remodel your kitchen or bathroom from start to finish, or complete your unfinished basement to suit your needs. We specialize in residential remodeling. 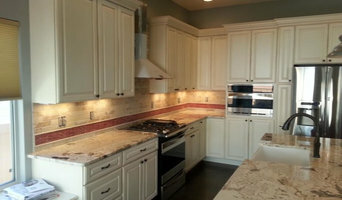 What makes us special, is that we are both a general contractor, remodeling firm AND a countertop fabricator. This allows us to provide a streamlined and client focused approach to all of our projects. 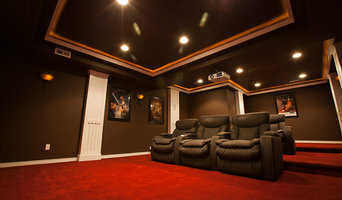 We pride ourselves on providing "Custom Building Services". No matter your project scope, we can tailor our diverse skills to match your needs. It is our goal to YOU to fulfill most of your home improvement needs!! One of our main specialties is bathroom remodeling. However if you need some minor maintenance tasks done, painting or a new roof… Please call/text me at 719-632-2550 for immediately assistance! Galiant Homes, LLC is a custom home builder headquartered in Colorado Springs, CO and serving the Denver, Castle Rock, Woodland Park & Colorado Springs areas Galiant Homes has built nearly 1,000 new homes and always incorporates their clients Flow Of Living to every new home. Flow Of Living is a proprietary process in which Galiant Homes' clients lifestyle, budget, personality, & their needs are all incorporated into the design of their new custom home. Seems like all builders would approach home building this way but, in fact, it's not the case. This separates Galiant Homes from every other builder in the region. Galiant Homes does not just build your luxury custom home, they build friendships. Galiant Homes also offers a dedicated designer to their projects, a savings of $4,000+ to its' clients. Specializing in residential and commercial renovations.